New gaming setups have been popping up in low-rises, senior houses, and the inside room of two-room doubles across campus—mostly attributed to Fortnite’s surge in popularity. The premise of the video game involves a third-person shooter in a Hunger Games-style survival challenge. A hundred players parachute onto an island, and they must combine building structures and using weapons to survive. Two weeks after its release, it already boasted over 10 million players. Estimates place the number of downloads around 45 million, roughly the population of Spain. The game only allows one user per console, an issue which Max Powers ’21 explained is easy to get around. 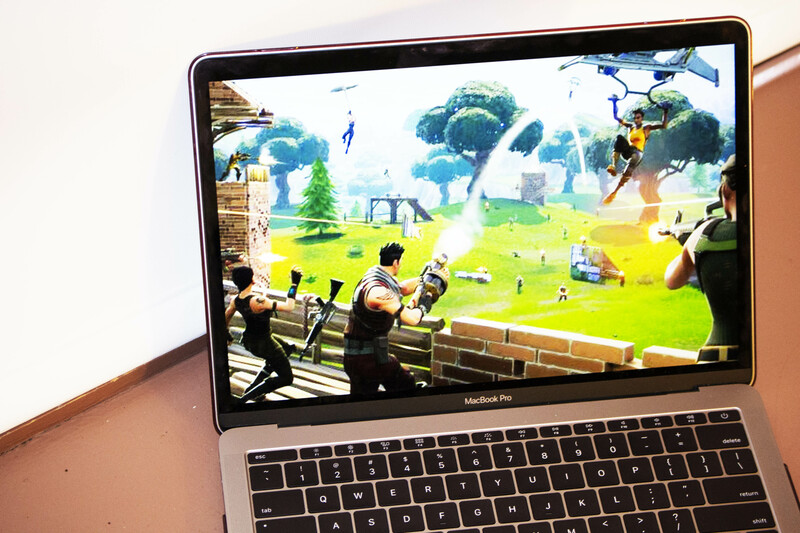 “I have seen countless [Fortnite] setups in dorm rooms, apartments, and houses, with some rooms even having multiple game consoles and TVs in the same room,” Powers said. Fortnite isn’t the first game to pit a large group of people against each other to fight it out. However, it has vastly out-earned its predecessor and main competitor, PlayerUnknown Battlegrounds. It also differs by its cartoon-like violence, contrasting with the many first-person shooter games known for their blood and gore. At Wesleyan, Fortnite is everywhere from pre-games to a substitute for studying. After a mobile version of the game appeared, the demand was staggering. Fortnite Mobile jumped to the top of charts as the top-selling app in 13 different countries, a feat accomplished in less than 12 hours. The mania over newly released content has resulted in multiple crashes of Fortnite servers. Drake, Travis Scott, Pittsburgh Steeler JuJu Smith-Schuster, and a professional video gamer “Ninja” recently played Fortnite together, live-streaming the gameplay over Twitch. It was watched by over 600,000 viewers at once, breaking the record for a video game live stream on Twitch. Professional athletes have also paid homage to Fortnite in their post-success celebrations. After scoring an equalizing goal against rival Real Madrid, Antoine Griezmann showed off a dance move now synonymous with Fortnite, kicking his feet out and shaping an “L” with his hand. Xander Bogaerts of the Boston Red Sox emulated Griezmann’s dance after an in-game double to left field. Since Fortnite’s creation, many have marveled at the fact one could hypothetically be going head to head against anyone from Lebron James to Richard Sherman without knowing it. This, for many, contributes to making Fortnite a highly addictive game. Other students sneak Fortnite jargon into everyday conversations. When asked about his usage of the game, Liam Murray ’20 just repeated a typical line from one of Fortnite’s most popular modes. “Where we landing boys?” he joked. Whether or not Fortnite will continue its high level of growth is uncertain. It could be a temporary boom. However, given its growing prevalence in popular culture, it seems here to stay. Kids often look to athletes and celebrities as trendsetters in popular culture. Given that many of the players are 20- to 30-year-olds who love to document their Fortnite success, it’s easy to see how it spread so quickly. Next time someone talks about their victory royale or squad win total, know they are one of the 45 million players of the most popular video game on the market.